Introduction We have become a world of keen photographers taking photos at every opportunity with our cameras, tablets and mobile phones. Processing and editing photos can seem daunting with all the technical jargon, so Part 1 of this tutorial series will cover the basics of the terminology, processing and editing enabling you to maximise the quality of your photos for use in albums, print materials, on websites or simply to send to your friends. 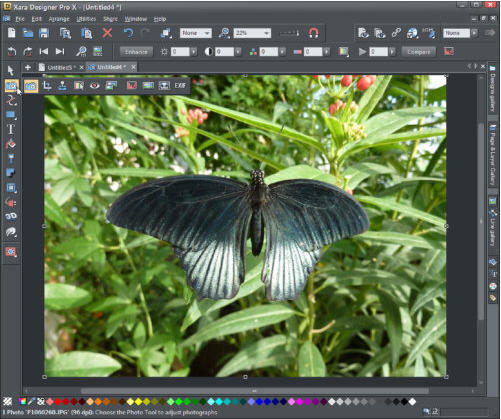 Xara Photo & Graphic Designer and Designer Pro include very fast photo editing tools that offer many sophisticated and powerful features in addition to the common photo editing features. In Part 2 we will introduce those tools, with some useful tips on the way. You'll find it incredibly easy to create great results quickly. If you don’t already own a copy of Photo & Graphic Designer or Designer Pro, simply download a free, fully working trial version and try it! So, now let’s start the tutorial!